In your journey throughout Polaris, you will encounter a fellow wizard NPC named Brandon. What is so special about him? Another NPC, another quest leading us to face off against a boss creature… The difference here lies in the details. This boss, Neberyx, was designed a player just like us when he visited Kingsisle thanks to the wonderful Make-A-Wish initiative. 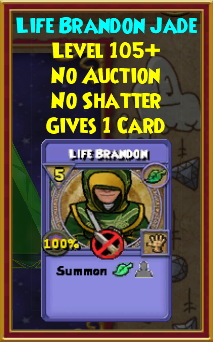 This has now made Brandon a part of Wizard101 forever. Can you imagine? If you gained access to the Forlorn Tayg in Polaris, you will immediately encounter Brandon waiting in the campsite with an exciting side quest. Upon accepting the side quest, you will be rewarded with seven treasure cards, a new minion for each school as can be seen below. The quest “Trial by Dragon’s Fire” was designed to test your limits, so beware before you head into battle, this boss is no regular boss! 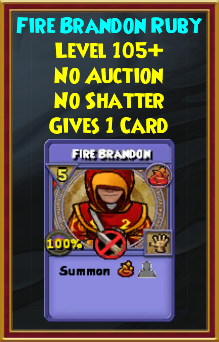 Brandon will send you all the way back to fiery Dragonspyre looking for Magister Zilant from the mysterious Dragonhorn Order in the Dragon’s Roost. Tardiness cheat – like many other bosses, try to join the duel on the very first round to avoid being blasted by an Insane Bolt that does 1000-1500 damage on the late comer. 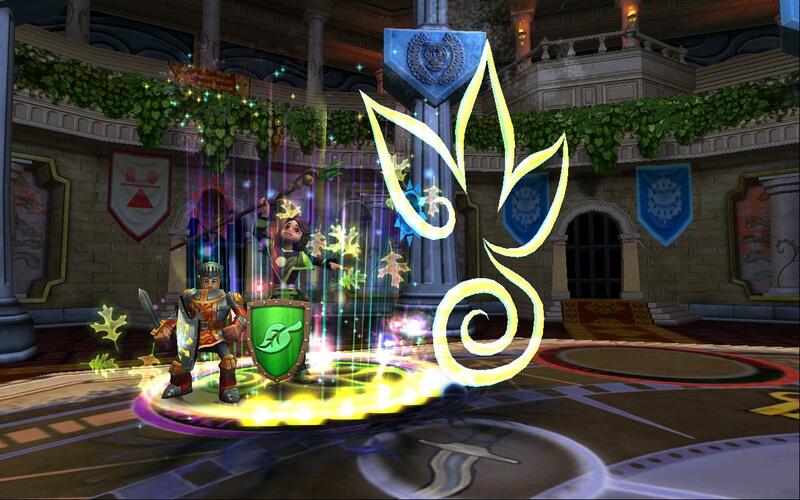 Charms cheat – when a charm (blade) or global spell is cast, Neberyx will most likely interrupt and cast an enchanted version of Myth’s Earthquake. However, this cheat doesn’t trigger every time and it can be easily countered with a Vaporize. Natural attack – this isn’t technically a cheat, however when he casts his shadow natural attack, Neberyx will say the below phrase and attack one wizard. In addition to the attack, there will also be a Virulent Plague cast. I personally recommend running a trap strategy. Any type of Feint is allowed which makes it so much easier, but you can also trap stack whatever school traps your hitter is. Nothing too complicated, really. Some additional tips I found useful while farming are to carry Shatter and Cleanse Charm. Also, having a Myth wizard can be very useful if you want to carry charms in this battle. After completing this battle, you will revisit Brandon in Forlorn Tayg where he will reward you with a Triangle Jewel of your school’s Summon Brandon spell. 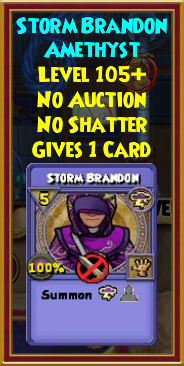 This is an interesting twist from actually learning new minion spells. 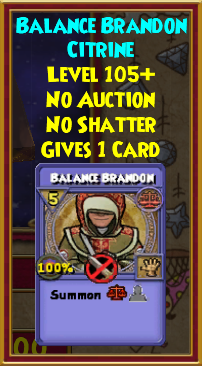 Do keep in mind that the jewel is ‘No Shatter‘, so you can remove it from one item to put on another as you desire. The battle loot drop rate isn’t that bombastic to be honest, however the loot is unique and intriguing. Worth taking a look, no? First off, we have the triangle jewels you can see up above. Those can also be dropped from repeatedly from this battle, so don’t worry if you accidentally deleted the one you obtained from the quest. Additionally, you can also obtain the treasure card version of these spells. Keep in mind that they are non-tradeable. Finally, we have the Dragonhorn Helms. You can find one for each school, each featuring some kind of different ‘dragon…ish’ spell. 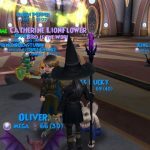 Big thanks to Kingsisle and Brandon for coming up with such a unique concept, and to Make-A-Wish for making this possible not just for Brandon, but for many other lucky wizards! Will you be testing your wits against Neberyx and his mighty fierce companion? Leave us your thoughts below! 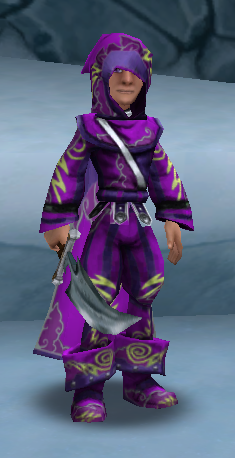 With his main focus in Wizard101 PvE, you will find Cody knee deep fighting one of the Spiral's major bosses with an army of wizards at his disposal. Proficient in quite a few other areas of the game such as gardening, fishing, and most of all monstrology. Why monstrology? He chases after every single creature out there and catalogs them for all to see!